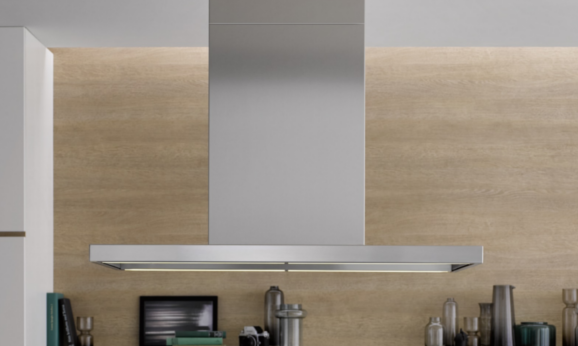 Extractor hoods: EXHAUST AIR OR RECIRCULATION? 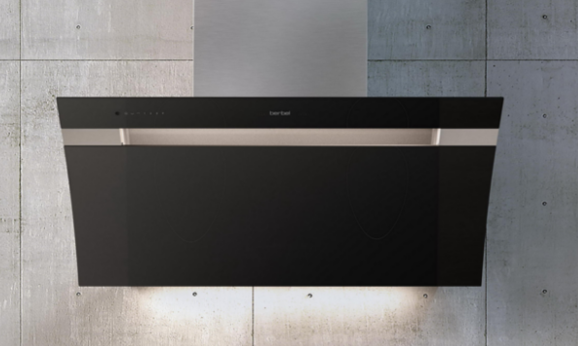 The choice of the right operating mode for your extractor hood does not involve choosing between recirculation mode and exhaust air mode. With the berbel EcoSwitch, you can freely switch between the two modes. Stay flexible, and use the energy-saving hybrid mode to combine the best of the two modes - depending on your individual needs and the current weather and cooking situation. 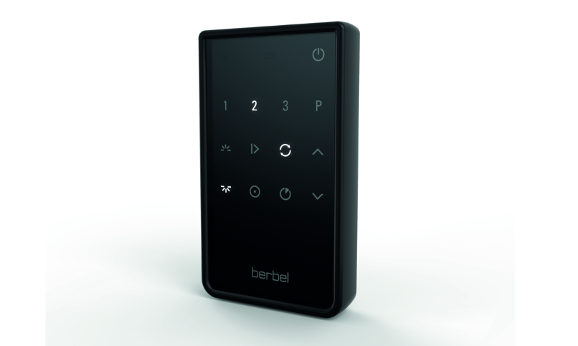 Find out how this technology works and which unique advantages you enjoy with the berbel EcoSwitch here. Naturally, we have also gathered together everything you need to know about pure exhaust air mode and recirculation mode. Enjoy the best of both operating modes. Our video tells you more about the advantages of the berbel EcoSwitch technology, which enables flexible switching between recirculation mode and exhaust air mode. With the berbel EcoSwitch, you benefit from the advantages of both operating modes. In Winter, berbel recommends the energy-saving recirculation mode. The air is freed from odours by the hybrid filter and is directed back into the room. As a result, the warm room air remains inside and you do not waste valuable energy. Recirculation mode is particularly energy-efficient. No supply air is required, and the warm room air is not sent outside. In addition, recirculation mode is ideal if it is not possible to penetrate the wall to create an exhaust duct, as is the case in rented accommodation and old buildings, or if an exhaust duct would simply be too complicated. When choosing a recirculation hood, it is important to pay special attention to the quality of the recirculation filter - only a powerful recirculation filter can reliably free the air from unpleasant odours. With the extra large surface of berbel's recirculation filters and up to 4 kg of active carbon, you're playing it safe. A powerful berbel recirculation filter achieves odour trapping of up to 97%, which approaches the value achieved by an exhaust air hood. A further advantage of this efficient air cleaning method with a berbel recirculation filter is lower maintenance costs. Depending on how intensely you cook, the active carbon only needs to be replaced every 2-3 years. It's easy to do using one of our refill packs. The filter housing is retained, and only the active carbon is replaced. This is good for the environment as well as for your household budget. For lovers of fish, we offer specially pretreated active carbon that is better at neutralising intensive fish odours. For customers who really value convenience along with consistently high odour elimination, we recommend our maintenance-free permalyt® recirculation filter. Modern exhaust technology provides a powerful way of disposing of used kitchen air. Along with the kitchen air, humidity and smoke are completely conveyed outside. In the case of an exhaust air system, a heat-insulated termination of the exhaust duct is particularly important in order to minimise heat losses and draughts. 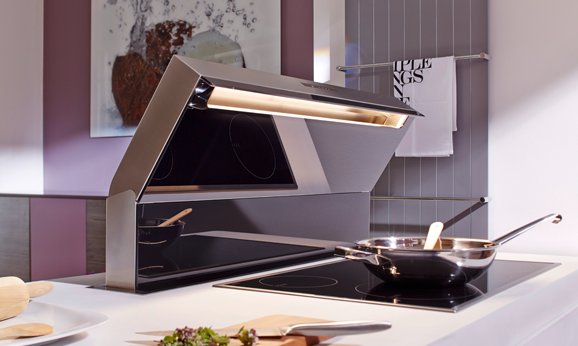 Here, we recommend the use of a heat-insulated berbel wall box, which automatically opens when the extractor hood is in use and then closes again afterwards. This provides a potential energy saving of up to 50%. You can save even more energy with our EcoSwitch technology, which enables expert switching between recirculation and exhaust air mode. 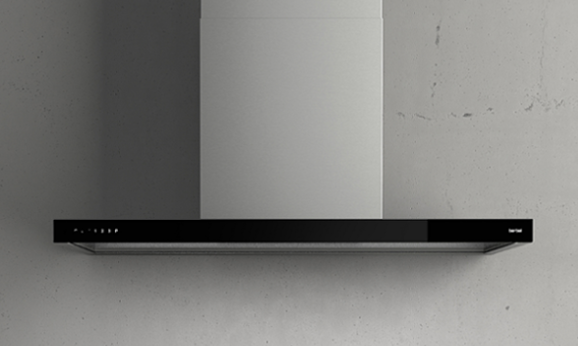 berbel exhaust technology with the berbel wall box is recommended for new builds, for retrofitting in all types of buildings, and for increasing efficiency in existing kitchens. Despite claims to the contrary, there is no legal ban on the use of exhaust air hoods in passive and low-energy houses. You merely need to ensure sufficient supply air by means of an open window or other solutions, for example, which should be in keeping with the living space ventilation system, if applicable. 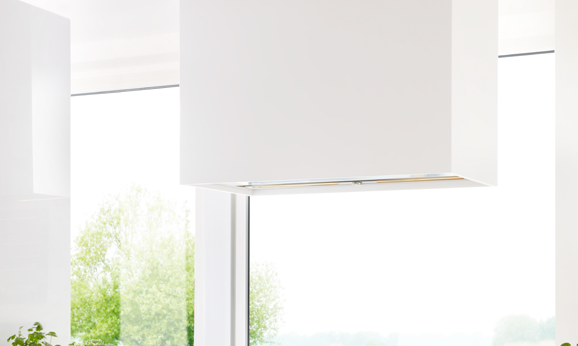 For passive and low-energy houses, too, our EcoSwitch technology provides an alternative to pure exhaust air mode, allowing you to switch to exhaust air mode when the cooking situation requires this. 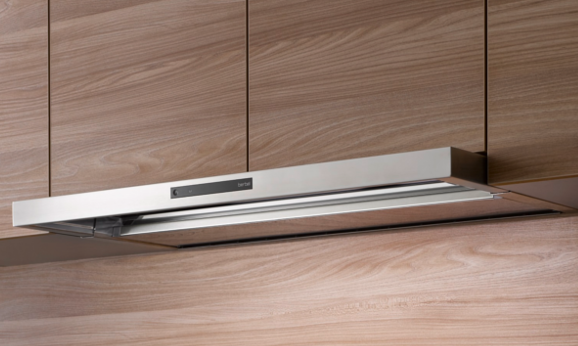 Additional safety accessories might be required in order to use an exhaust air hood in conjunction with an open fire. Please contact your chimney sweep for appropriate advice here.